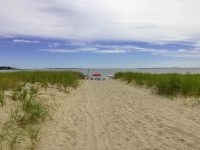 A long sandy beach on Saco Bay that extends from the jetty at Pine Point to Old Orchard Beach. Maintenance: Both public and private with public access; the Town maintains the beach area, parking lot, and facilities. The Town rakes the beach weekly during the summer months. Parking: Municipal parking lot is located on Avenue 5 (off King St.). Parking lot collection hours from 9 AM to 5 PM. Parking lot open from sunrise to sunset. Seasonal Beach Parking Passes available at the Town Clerk’s Office. 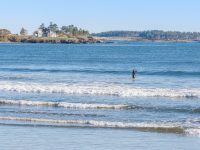 Surfing: Allowed; more wave action than Ferry Beach thanks to its location on Saco Bay. All surfers must be connected to their board by using a “surfboard leash” 7’ to 10’ in length. 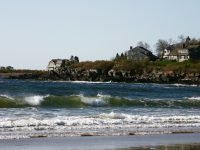 This long, sandy beach offers some of the best swimming in New England with water temps in the high 60’s throughout July and August. Lifeguards: From June 10 through Labor Day, the Park has USLA certified Lifeguards on duty on sunny days. Rental Items: Chairs, umbrellas and boogie boards – $6.00 per day. Parking: Parking is limited to 285 on-site spaces and 125 off-site spaces. Public Restrooms: Yes, changing rooms and bathroom facilities are available. A sandy beach located within a quaint residential neighborhood that dates back to the late 1800’s. 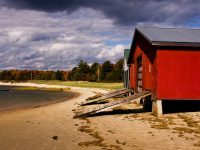 Maintenance: Private with public access; the Higgins Beach Association and the Town maintain the beach area, parking lot, facilities. Parking: Municipal parking lot is located at 41 Ocean Ave. (off Route 77/Spurwink Rd. ); limited street parking also available on Bayview Ave.
No street parking at Higgins Beach year-round with the exception of designated spaces on Bayview Avenue. Surfing: Not allowed from 11 AM to 5 PM from June 15 to September 15. All surfers must be connected to their board by using a “surfboard leash” 7’ to 10’ in length. A white sandy beach along the Scarborough River channel, Ferry Beach is somewhat protected from ocean waves by the jetty located on the other side of the channel. Maintenance: Public beach; the Town maintains the beach area, parking lot, and facilities. Parking: Municipal parking lot is located at the end of Ferry Rd. (off Black Point Rd.). 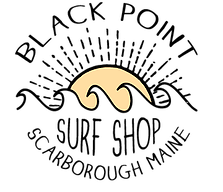 Surfing: Allowed; limited wave action due to its sheltered area. All surfers must be connected to their board by using a “surfboard leash” 7’ to 10’ in length. 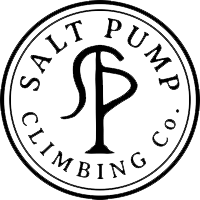 Surf & Climb Camp is a unique weekend offering, introduced in 2016, created by Surf Camp and Salt Pump Climbing. This two day program combines surfing in the morning with rock climbing in the afternoon and gives participants an essential introduction to these two exhilirating and complementary activities. Surf Camp for kids is a day camp for kids and teens aged 9 to 15. 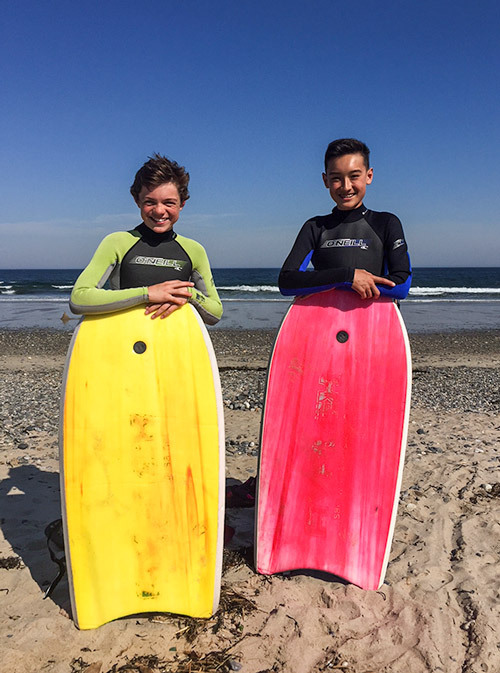 In addition to learning to surf from some of Maine’s most experienced instructors, “Surf Campers” will explore the local marine environment, learn about our oceans, and make new friends in the process. 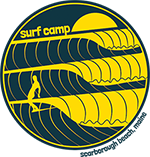 Surf Camp for Adults is a 4-day evening program for adults (21 and Up). This program is for first time surfers and those looking to advance their skills. Lessons are fun for all ages, whether you are a beginner or looking to hone your skills. Meet the instructors at the beach and they’ll supply the board and suit. For questions or to schedule a lesson give the shop a call or stop by. Tired of lugging your kayak to and from the beach? Scarborough Community Services has the answer for you! 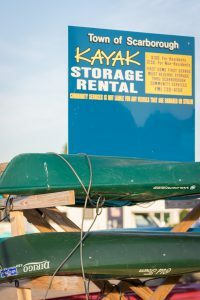 They now have a 8-space kayak rack at the Pine Point Co-Op and a 3-space rack at Ferry Beach available to rent. $100 for residents, $150 for non-residents. Stop by the Town office to register and receive your rack decal. Limited spaces available.